Dr. Erwin completed a double major honors degree in physical education and science at York University in 1980 and then graduated from the Canadian Memorial Chiropractic College in 1984. He entered clinical practice in the late summer of 1984 and developed a busy practice until secondary to an interesting encounter with a patient ultimately enrolled in graduate studies at the University of Toronto graduating with a PhD in medical science from the Faculty of Medicine, Institute of Medical Science, University of Toronto (2004) where the focus of his studies concerned the cellular/molecular mechanisms governing DDD with an emphasis upon the influence of notochordal cell secreted factors upon intervertebral disc biology. Dr. Erwin currently holds the position of CCRF Professorship in Disc Biology at the University of Toronto where he is an assistant professor within the divisions of neurological and orthopaedic surgery (appointed 2004). Dr. Erwin’s laboratory is within the JLabs facility (a hybrid space in downtown Toronto associated with the University of Toronto, Johnson and Johnson, Jenssen laboratories and the MaRS complex; an incubator for the commercialization of novel therapeutics. In addition to his academic rank he is the chief science officer of a new biological therapeutics company “Notogen Inc”, a company devoted to the commercialization of a novel molecular therapeutic to treat degenerative disc disease. 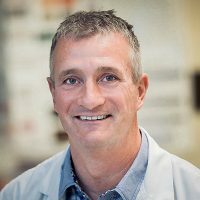 Within the JLabs site his laboratory also performs academic, peer-reviewed cellular/molecular research concerning degenerative spinal disease-particularly degenerative disc disease and his lab has recently completed an investigation of stem cell therapy for the treatment of amyotrophic lateral sclerosis (ALS). Dr. Erwin is a reviewer for over 20 scientific journals, grant reviewer for national grant applications for France, The Netherlands and the United Kingdom and is an executive committee member of the University of Toronto Department of Surgery, The University of Toronto Spine Programme and the Section on Biologics for the North American Spine Society.